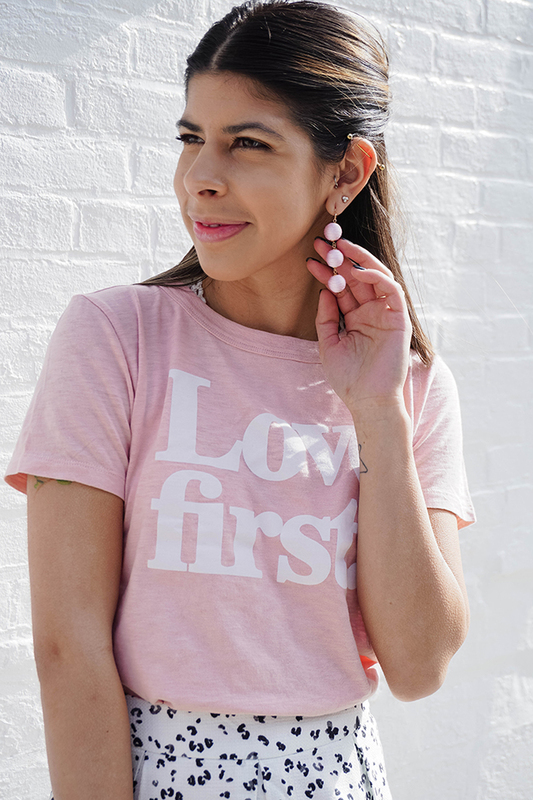 I've said it many times before and I'll say it again, J.Crew graphic tees give me life. They always have the cutest ones and they're so good! Graphic tees have also become a newly favorite of mine because they're so versatile. I've shared many ways on the blog where you can dress them up and a few ways to dress them down, in style of course. 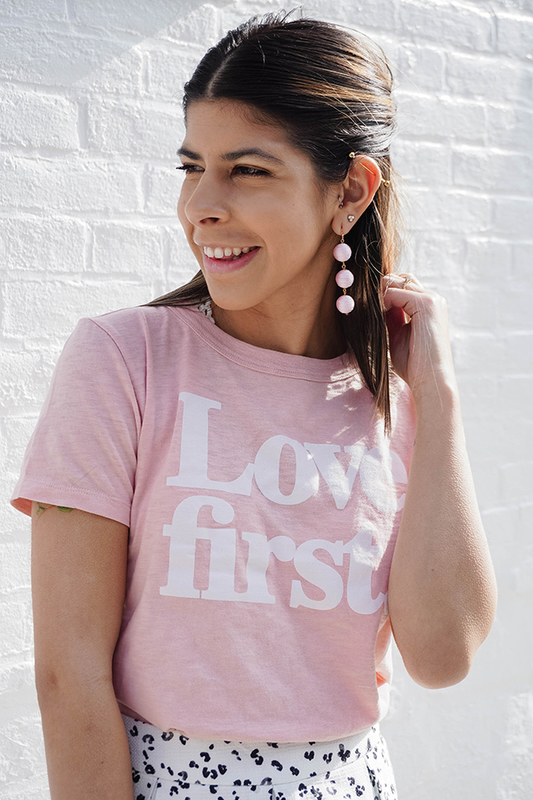 Today on the blog I'm sharing a Valentines Day inspired look with this new Love First tee. I love how perfectly everything paired together! Instead of dinner, Tyler and I are doing a V-Day breakfast, so I personally won't be pairing this tee and skirt together than. But if you have some dinner date plans, this look is perfect. If you're not a heels kind of gal, opt out the heels for a cute pair of flats and if you want more festive colors, go with a red lip or earrings. I definitely would have added a cute pair of red earrings if I had some! This skirt is one of those oh I totally forgot I even bought this two years ago kind of things, so it's no longer available. But I'll be linking some other great options that are perfect for Valentines if you want to recreate this look!